I’m so excited! 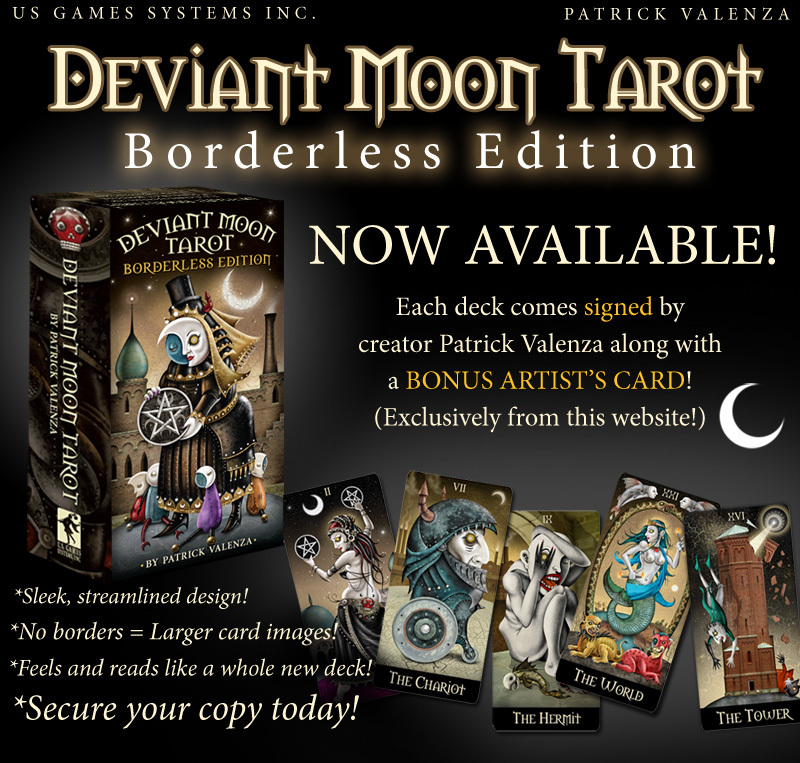 US Games Systems has just released a borderless edition of Patrick Valenza’s Deviant Moon Tarot. This is one of my favorite tarot decks, but the borders were so disruptive that I actually trimmed them off, leaving the cards quite small. Here is a poster and a couple links for more information on this gorgeous and twisted set of cards.